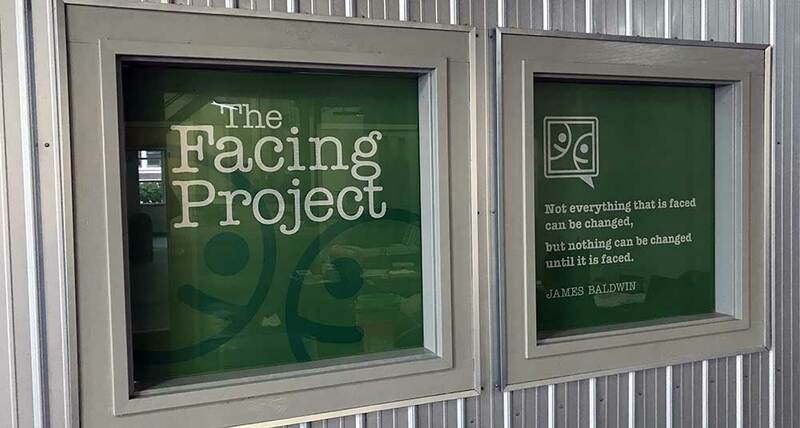 The Facing Project is a national non-profit that connects people through stories to strengthen communities. The culmination of the story-telling project is a public reading and performance of the subject. Farmhouse designs and prints the takeaway piece for these events, which is a book highlighting the community authors as well as the stories. Although the topics are very different each time, we were able to produce a consistent brand that complements various topics. 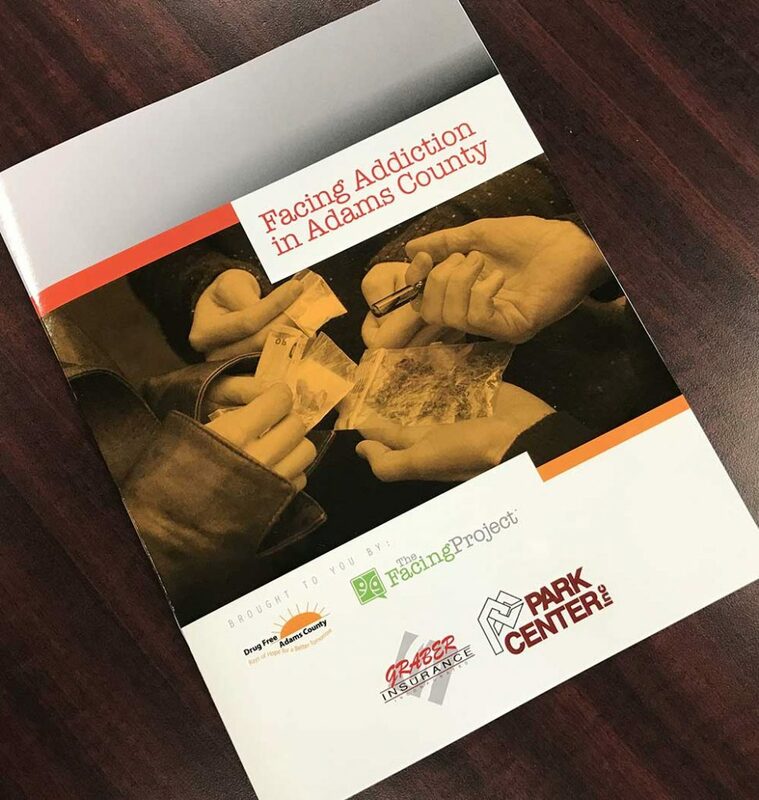 So far we’ve produced books for Facing Autism, Mentoring in Muncie, and Facing Addiction. 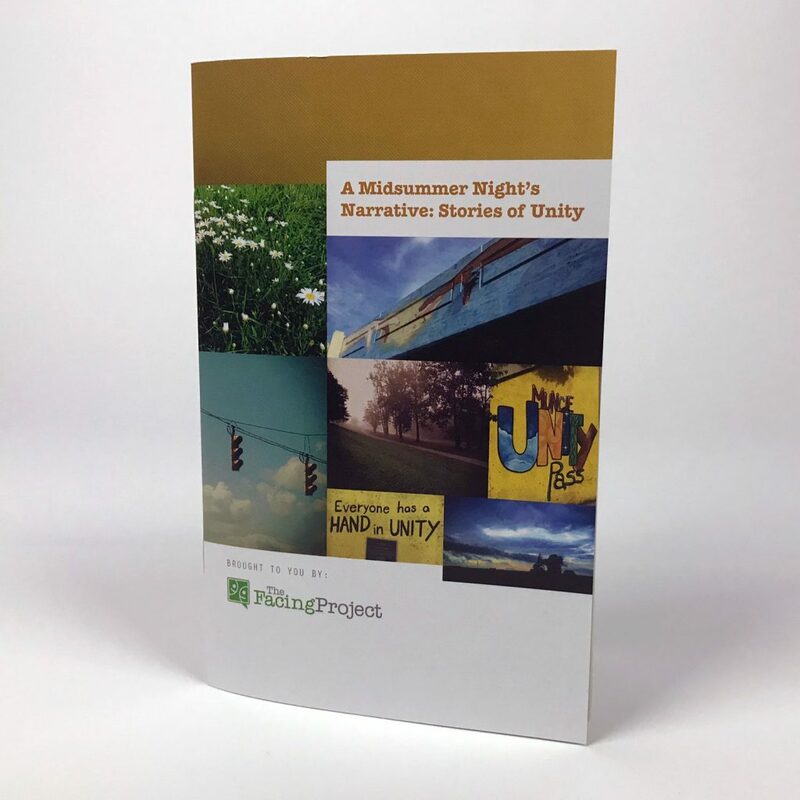 Through our collaboration, Angie was asked to be one of their celebrity writers, as well as oversee the designing and printing of the piece for their inaugural fundraiser, A Midsummer Night’s Narrative. We’re slated to begin work on Facing Teaching, which will roll out in the fall. 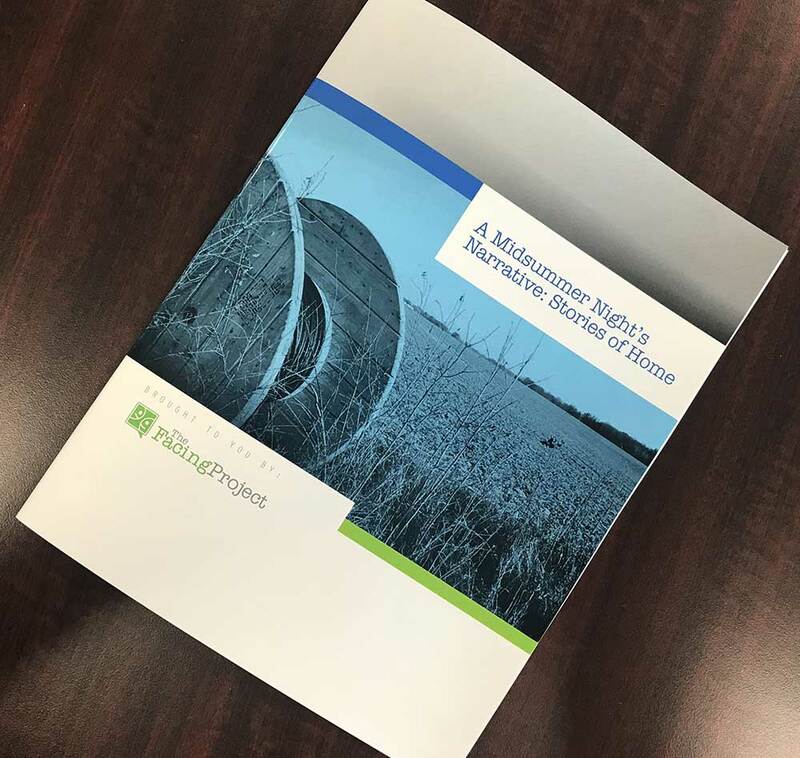 As The Facing Project continues to expand to national partners, we’re hoping to offer our design services exclusively for each project so that the brand remains cohesive nationwide. In addition to the program takeaways, we’ve designed Facing Project branding stickers for computers, folders, notebooks, etc. to bring even more awareness of the important work they do for communities all over the country. Ready to talk to the Farmhouse? Email us at info@farmhousecreative.net today!